Kassandra Peninsula is a place where the resort life and things of mainland Greece are going on here in summer. Someone appreciates it for the beauty of the landscapes and the quality of the beaches. Some people are attracted to authentic villages and historical monuments. You can see the main treasures of Cassandra in one day, coming here for a few hours from Sithonia or Thessaloniki. So, let`s identify what is worth to look at and where to stop? The resort town of Nea Fokea is known not only as a place with idyllic landscapes, clear sea and calm atmosphere. 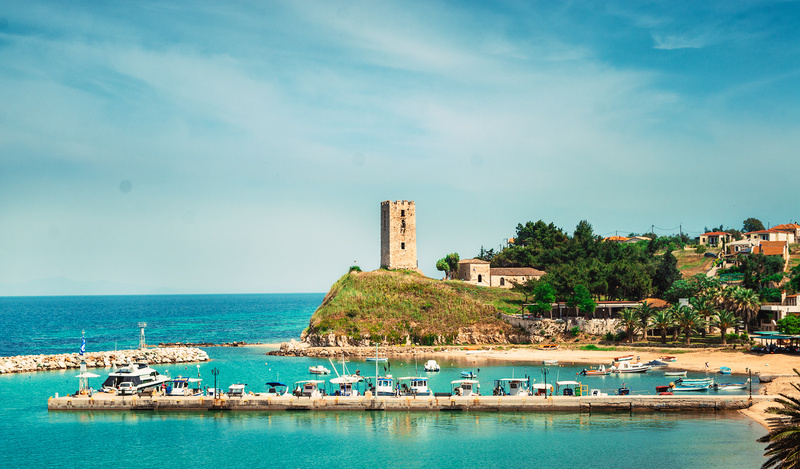 The heritage of the past has been preserved in this coastal village - the area has been inhabited since ancient times. The tower of St. Paul dominates in Nea Fokea. Archaeologists suggest that the original purpose of the construction was to protect the sea route between this area and the city of Thessaloniki. There is a version that the tower was erected from materials found in ancient Potidea. You can see the buildings nearby the monastery which was built in 1407 – but later the tower was used to protect the monastery. A picturesque estuary that looks charming at any time of the day. 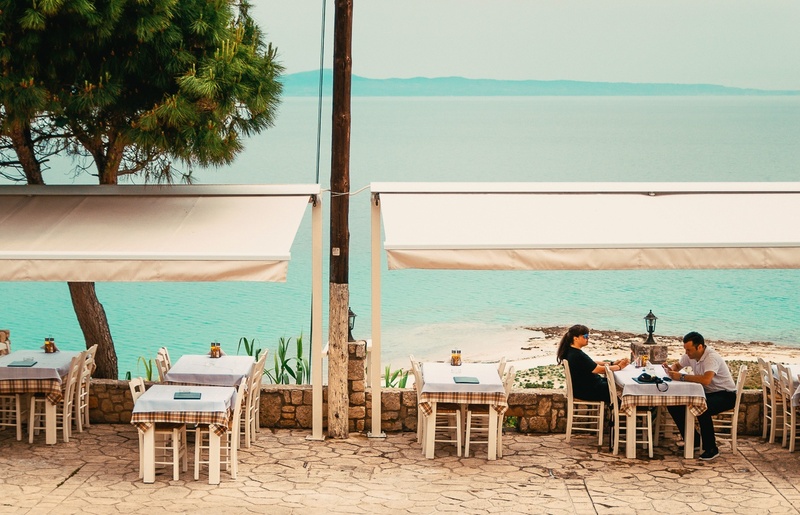 Please note: a few kilometers away from the enter to Kassandra, you can visit two of the most important sights in Halkidiki - the Petralona Cave and the Suroti Monastery. Take photos from the so-called “balcony of Afytos”. Here are the best panoramas. 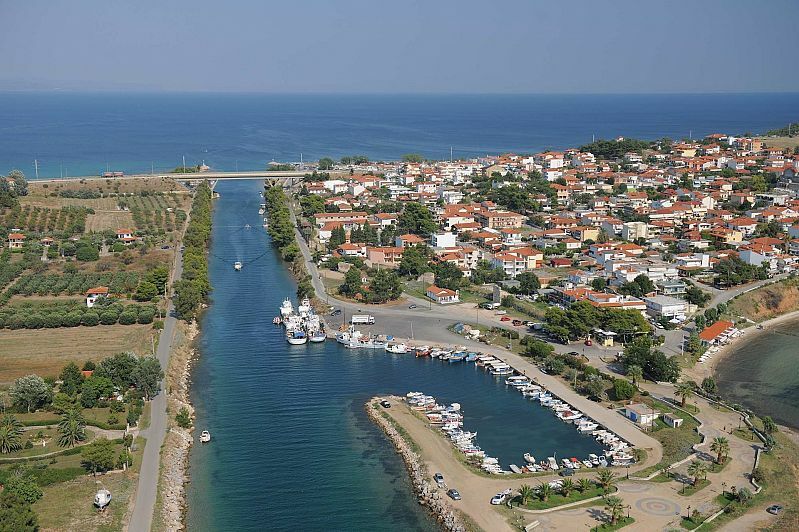 There is the resort town of Kallithea just a few kilometers away from Afitos. Its main attraction is the ruins of the ancient temple of Zeus-Ammon. The sanctuary was built in the Doric architectural style on the spot where the spring beat once. Namely, the cult of worship of Zeus-Ammon was associated with water. Later a Roman temple was erected here, and then a Christian basilica. Today, you can walk around the excavation site and explore the remains of the foundations of the sanctuary, and at the same time admire the views of the bay - the temple stands right on the seashore. There are the temple and cave of Dionysus nearby, as well as the Roman baths. The Solin Basilica is located 3 km from Kallithea,and it is one of the most important early Christian monuments of Kassandra. It has inconspicuous look, but the real treasure is hidden behind the net fence, which has not yet been fully investigated by archaeologists. The construction of basilica began in the V century on the site of the ancient Solina. The remains of the nave and the stone font, unique floor mosaics are preserved here In addition to the foundations. Despite the past centuries, they came to nowadays in their original form. Mosaic floors depict deer in paradise, flowers, birds, fish, trees, and patterns.